This bracelet from the Folli Follie brand is one of those pieces that you'll wear once and you won't want to take it off. It is great for any occasion, during the day or night. Silver and made up of many small flowers, shining on any woman who wears it, as if to emphasize her beauty. 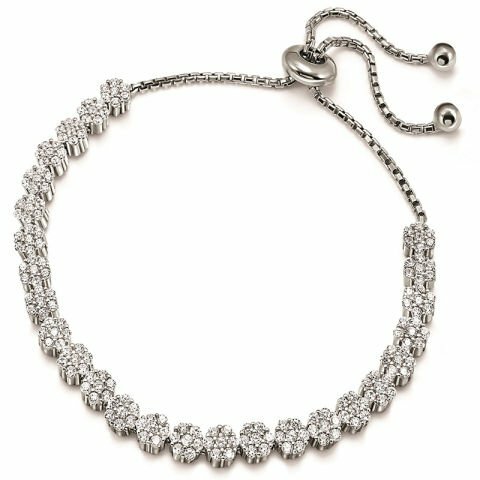 Stylish and elegant, this bracelet in the form of flowers is ideal for a woman who likes stylish jewelry. Silver suits any occasion, from the most formal to the more casual. The flowers indicate youth and joy, and are a symbol of happiness.